Crisp; professional black and white laser output with 2;600 page yield. For use with Brother monolaser printer models: DCP-7060D; DCP-7065DN; IntelliFax-2840; IntelliFAX-2940; HL-2220; HL-2230; HL-2240; HL-2240D; HL-2270DW; HL-2275DW; HL-2280DW; MFC-7240; MFC-7360N; MFC-7365DN; MFC-7460DN; MFC-7860DW. 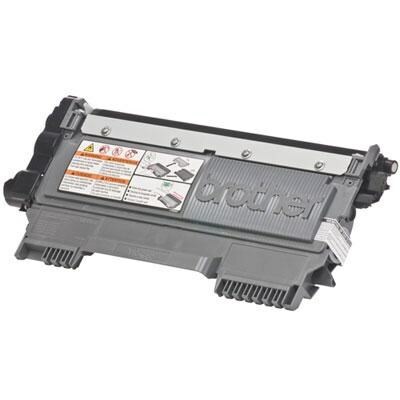 Trust the longstanding reliability of Brother Genuine Supplies for all of your home and office printing needs. Consistent cartridge page yields and superior print quality with crisp black and vivid color reproduction. Protect your printer investment: using unreliable aftermarket cartridges may result in damages to your printer that are not covered under warranty. Brother operates green factories with minimal power usage and actively participates in international conservation efforts; such as tree planting and mangrove reforestation. Brother offers an environmentally responsible way for customers to dispose of their Brother branded products at end of life.